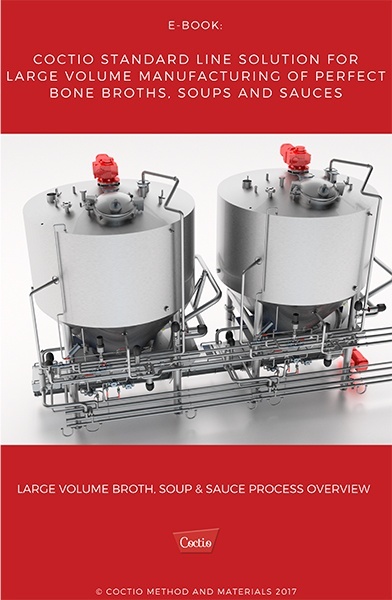 In this free eBook, you'll discover a complete process description of large volume manufacturing of natural Bone Broths, Soups & Sauces. For medium and large food manufacturing companies, meat, poultry and fish processors, slaughtering and rendering industries Coctio provides advanced high-yielding Standard processing line. The line is designed with large volumes in mind, both bones ingredient requirement and output volumes to produce top-quality and clean labelled broths, broth concentrates, type of sauces, soups and other ready meals using broth as a natural ingredient.